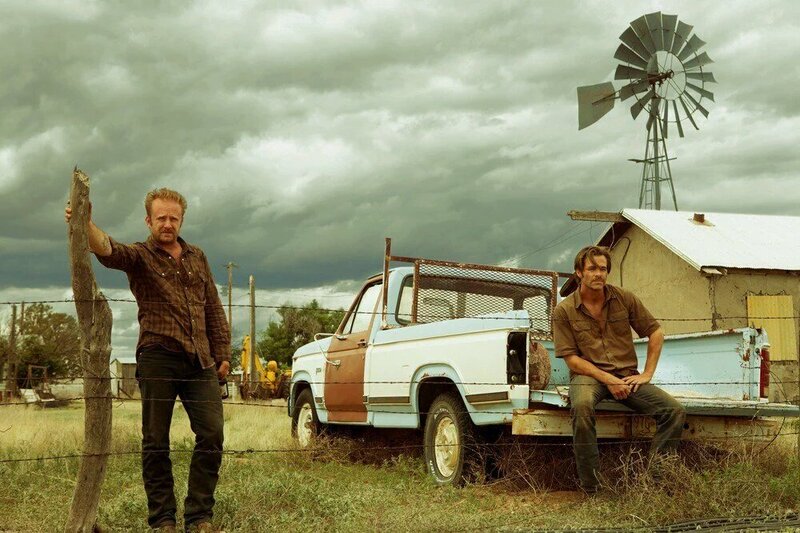 Hell or High Water is the movie that the summer of 2016 needed. After three months of underwhelming wanna-be blockbusters, this little gem that premiered at the Cannes Film Festival, and is slowly rolling out into theaters nationwide. Oh, and this movie is kind-of a masterpiece. It’s really wonderful, and perfect, and I loved pretty much everything about this film. And the brilliant thing about the film is that a lot of it feels awfully familiar to films you’ve seen before-a story of two bank-robbing brothers (Chris Pine and Ben Foster) and the Texas Ranger (Jeff Bridges) who is after them-but it feels so refreshing at the same time. There’s no black or white to the story, as the motivations of each character feels relatable and genuine. Hell or High Water is probably the greatest western of the 21st century, and you’d be a fool to neglect seeing this film. As mentioned before, Pine and Foster play brothers whose mother has just passed away. Down on their luck and struggling to make ends meet, the two decide to start robbing banks in their small West Texas town. After knocking a few banks in the area, Jeff Bridges and the Texas Rangers come into investigate the robberies, and decide to wait in the town until the two brothers strike again. The film, directed by David Mackenzie and written by Taylor Sheridan (Sicario), sounds as basic as they come when I describe the synopsis, but as mentioned before, it’s the characters and the setting that make this film so compelling and fascinating to watch. You would think that a movie about cops and bank robbers would be non-stop action from beginning to end, but it’s not. Each scene deals with either Chris Pine and Ben Foster dealing with their issues and having to carefully spend the money they stole, and the other scenes involve the interaction with Bridges and his half-Native American half-Mexican partner (Gil Birmingham). These scenes balance the drama and the comedy of it all so brilliantly and effortlessly, and the film can be really funny at times. Bridges play’s the good ‘ole boy sheriff that constantly insults his partner for his background flawlessly, and has some of the funniest lines in the entire film. Sheridan and Mackenzie do a fantastic job of portraying this tiny West Texas town (which was actually Clovis, New Mexico) in it feeling authentic. The town feels just as sleepy and economically depressed as a lot of towns in that region of the country (certain characters mention the still-occurring oil drought that is affecting West Texas to this day). While you don’t see a lot of other characters in the film that aren’t the principal ones, the inhabitants of this town make the area feel like it has a life of its own. Not bad for a British director to convey on the screen. Speaking of which, this is easily the best performance I’ve seen Jeff Bridges give in ages. He’s played characters like this before in films like True Grit, but he’s got his performance down to a tee, and he’s so damn charming and funny as the Ranger who’s on the verge of retirement any day now. It’s a brilliant performance by one of the greatest living actors working today. Chris Pine and Ben Foster give what’s arguably the best performances of their careers, with Pine playing the soft-spoken and quiet one of the two while Foster plays the trigger-happy one. The two are in a way polar opposites but stick together because of this bond they have as brothers. They’re also characters that’ve seen a lot of tragedy in their lives, and that tragedy is what keeps them together. I honestly have no complaints when it comes to the pacing or running-time of the film. It runs a little over 100 minutes, and the film feels like a breeze since you’re so engrossed with the project. And if you’re going into the film thinking you’re going to be getting an action film, I guess you’ll be disappointed, but the movie is so well done that the character moments are just as action-packed and intense as any action flick I’ve seen this year. In my opinion, Hell or High Water is the best Neo-Western made since No Country for Old Men. It’s tough to say if this flick is as good as the Coen’s masterpiece, but it comes awfully close. In fact, if you’re a fan of Coen Brother’s movies or Cormac McCarthy, you’re going to LOVE Hell or High Water. It’s easily one of the best films the Coen’s never made, and one of the greatest stories Cormac McCarthy never wrote. If this film is playing in your area, I suggest you go see this flick. I skipped Suicide Squad (mainly because I didn’t want to torture myself by seeing another awful DC comics flick), and I saw this film instead of that one. I’m more than certain that I made the wise choice seeing this film instead.